I used the Vintologie Stamp and Stencil set SC 0646 to create the colorful cake. 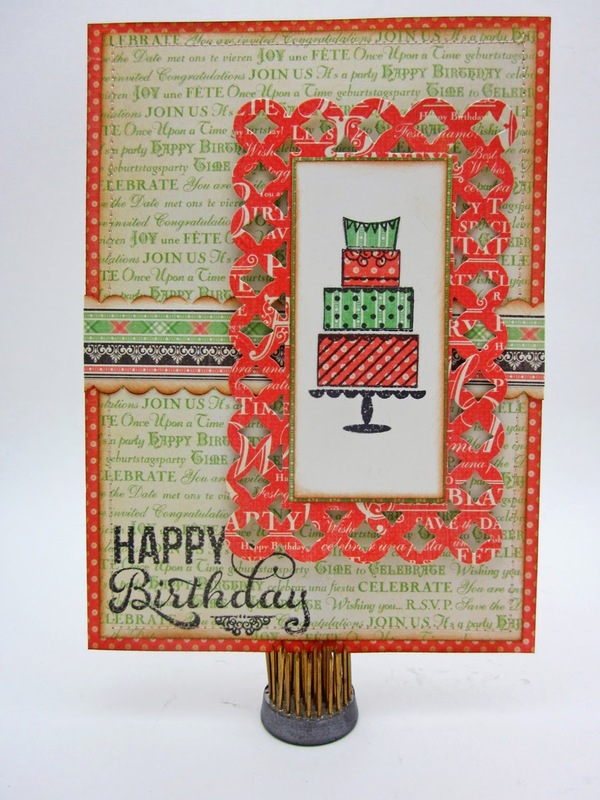 I stamp the cake stamp on various pieces of patterned paper and then cut out each layer. The I stamped the cake image on my plain rectangle cardstock. 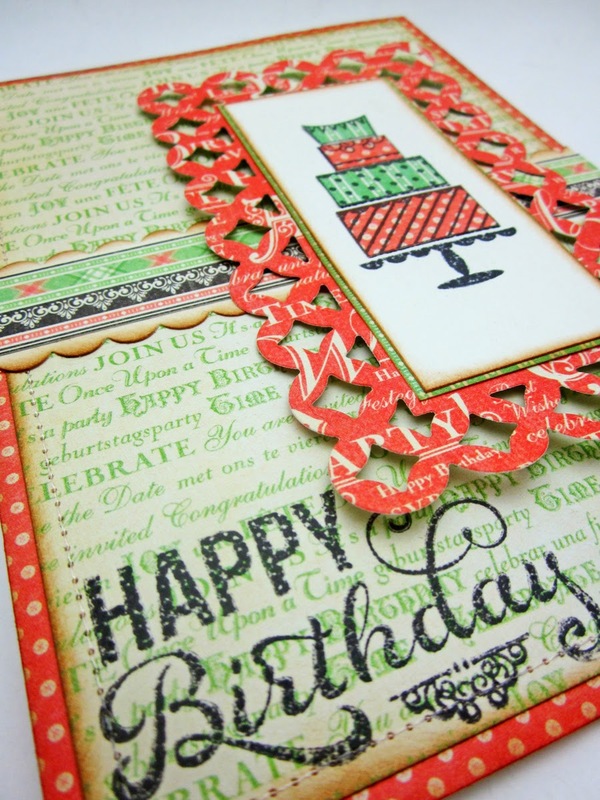 I glued down the patterned stamped images on different layers to create a colorful cake. Next I layered the image on a die cut and then over some border papers. The birthday sentiment is from the same stamp collection and was the perfect finishing touch in the bottom left corner.